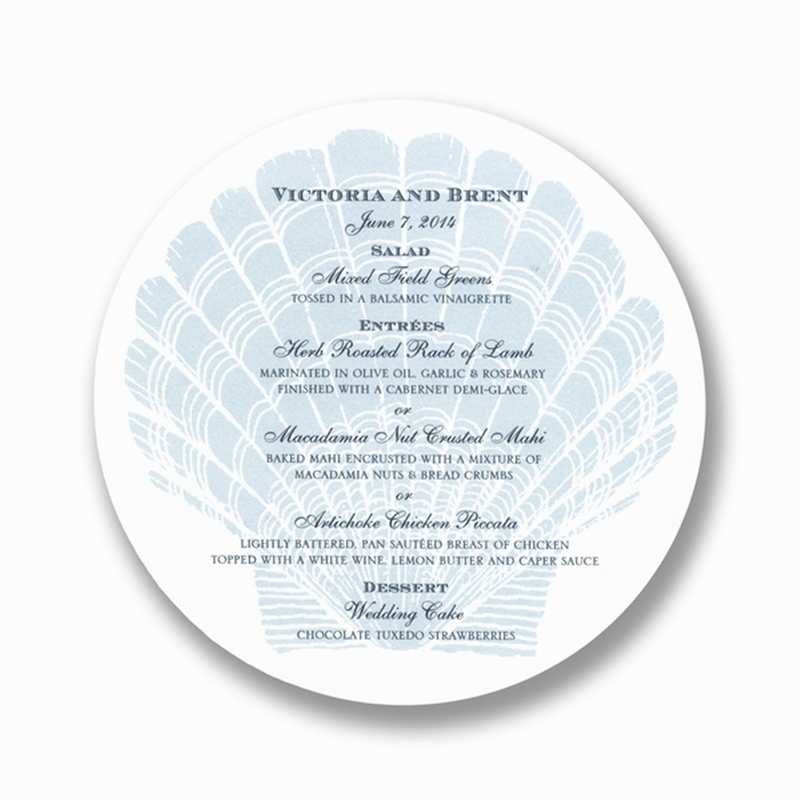 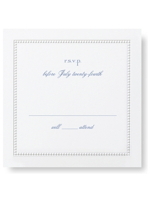 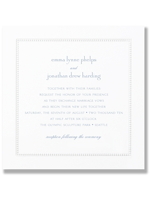 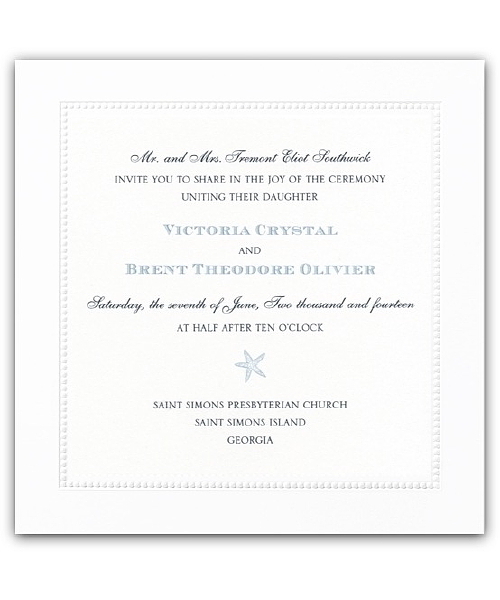 The invitation shown is a white beaded border card in beautiful light blue ink, a colour known as Lagoon, which is complemented by darker Indigo ink, this square format is a more contemporary version of the classic portrait style beaded border cards. 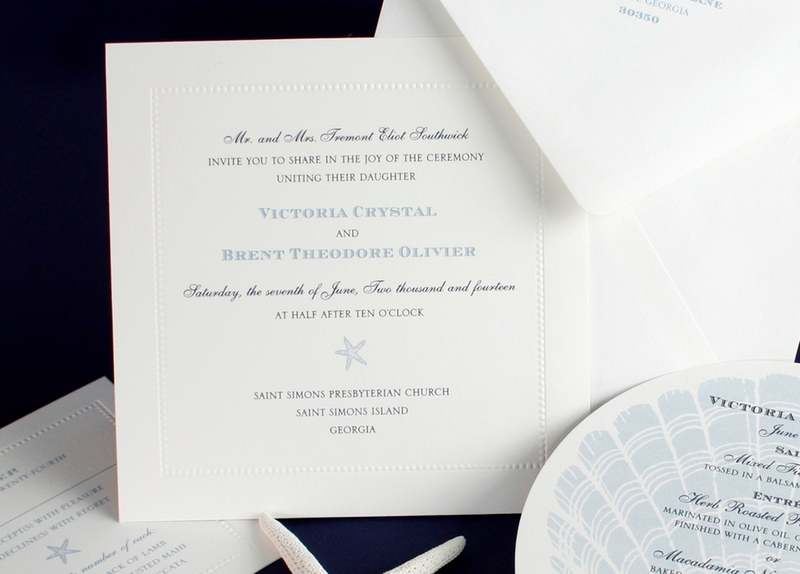 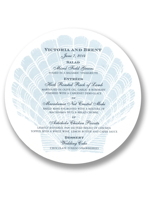 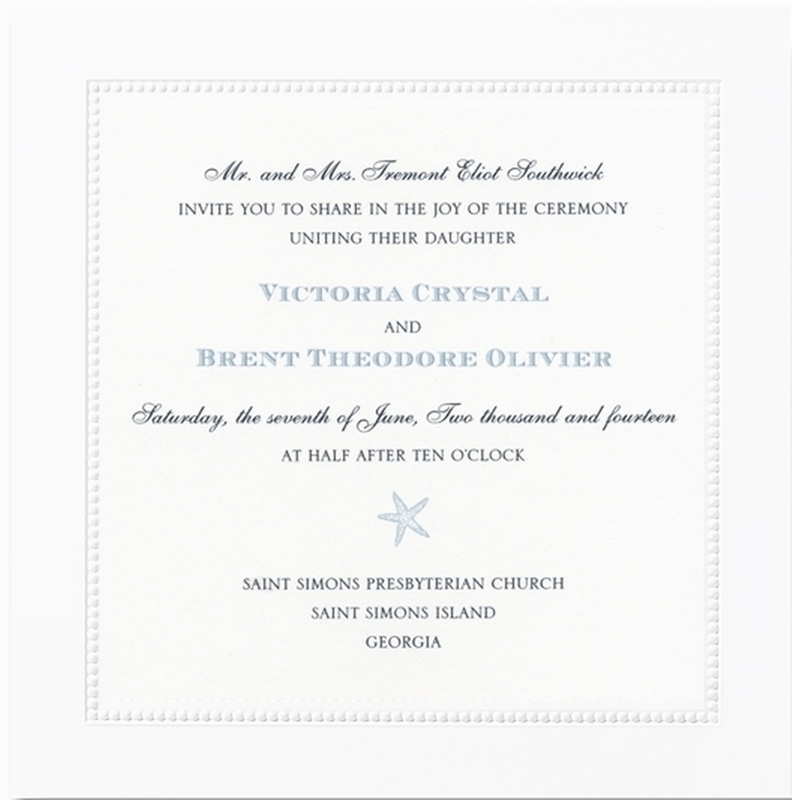 It comes under the same price bracket as the portrait style beaded border cards and is particularly good value for thermography printed wedding invitations. 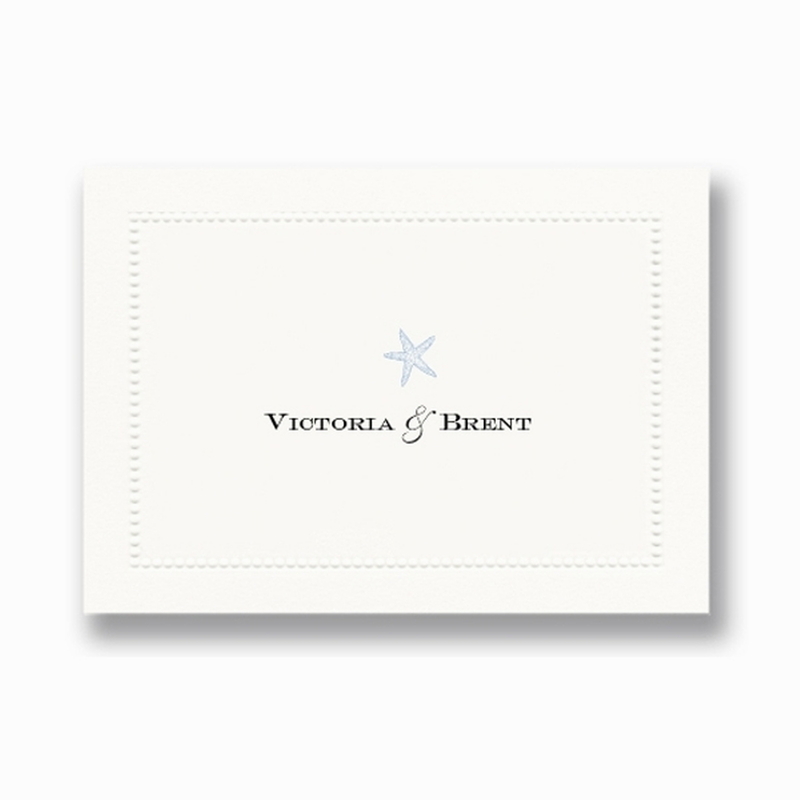 The card is shown with an optional "star-fish" design, which can be replaced with any of our design elements. 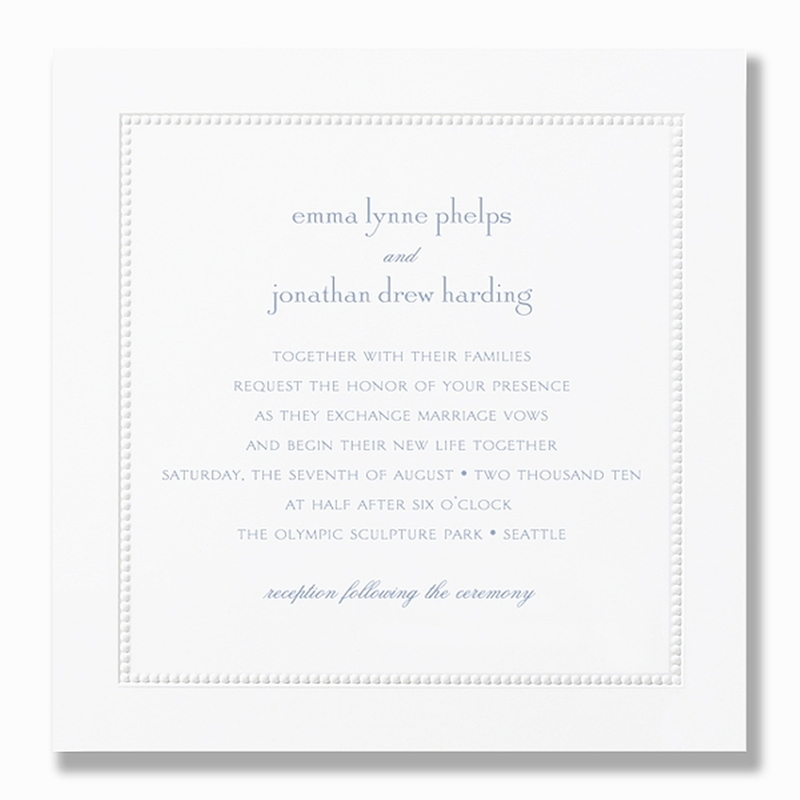 This is a beautiful choice. 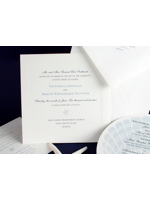 The finished look will vary depending on the choice of ink colours, fonts, envelope lining, with or without ribbon, etc. 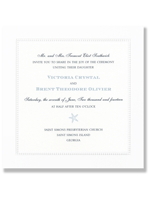 We have a number of examples in the studio in different combinations. 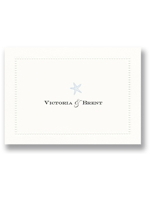 While the image shown with the "star fish" design has quite a contemporary feel, this same card chosen with more neutral ink colours and classic fonts can create a very traditional result. 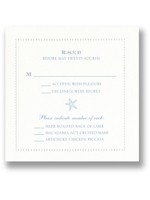 This card is shown in white but it is also available in ecru. 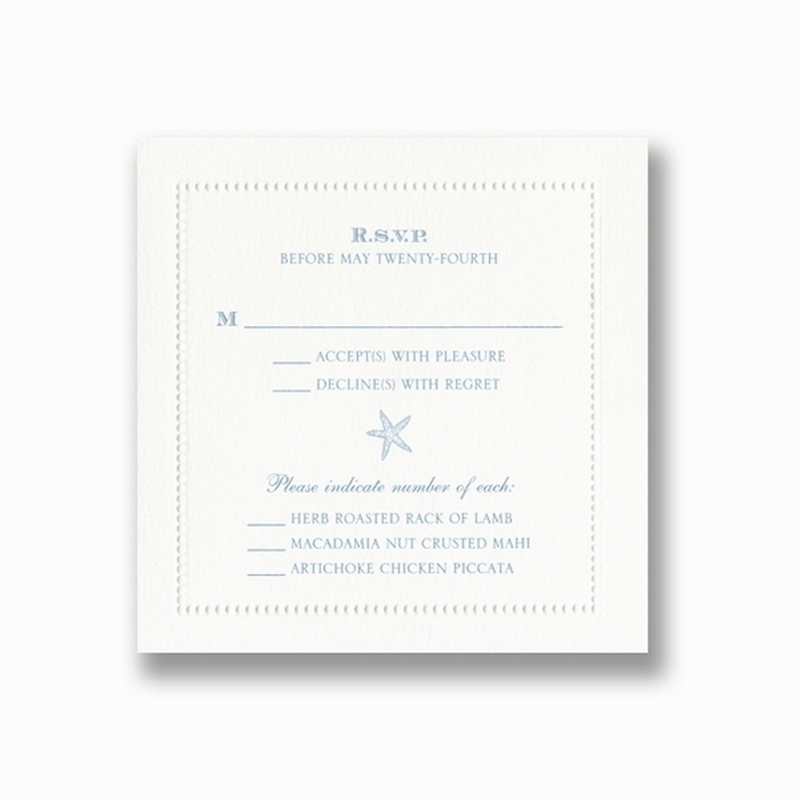 A rectangular version of this card exists in both ecru and white. 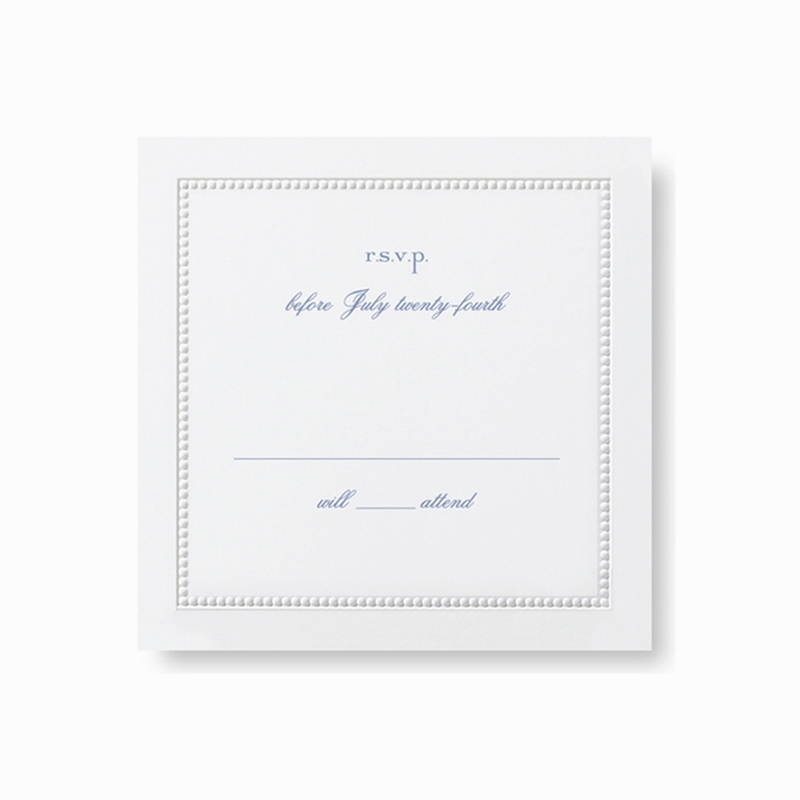 All our beaded border cards come with a full range of optional complimentary cards such as RSVP cards, menu's, thank you cards and place cards.